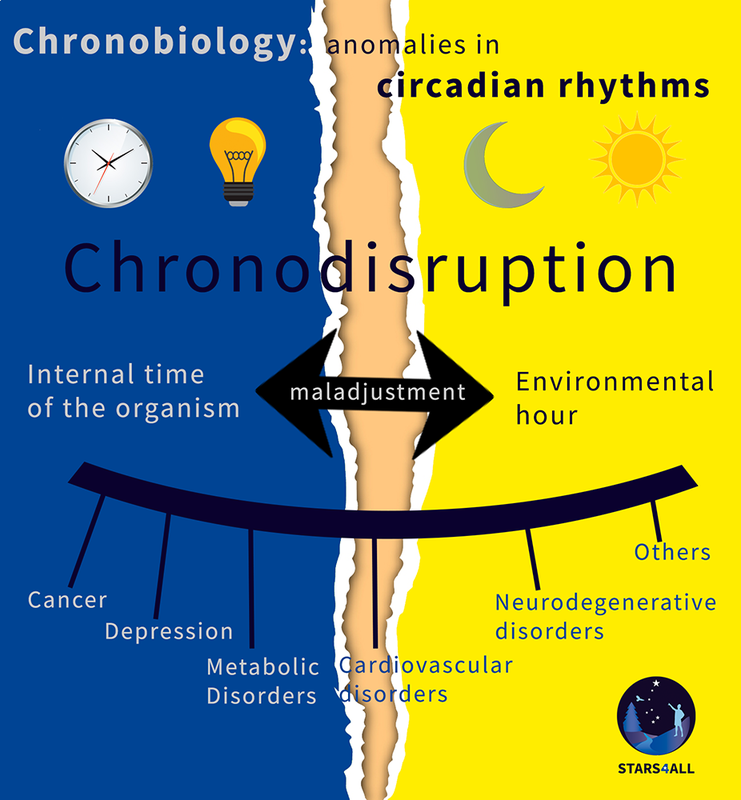 The chronodisruption are the imbalances that occur between the internal time of the organism and the environment when we follow behaviors that negatively affect our circadian rhythms. Electric light breaks the usual patterns of sleep by deceiving the organism, leading to a loss of internal temporal order that can be the cause of diseases such as cancer, depression and neurodegenerative, cardiovascular and metabolic disorders, among others. It is necessary to find new tools that allow us to evaluate the sleep and circadian health, especially in relation to the abuse of the body’s exposure to artificial light, and thus be able to implement personalized and effective strategies to counteract CD “in real life “modifying the incorrect habits of the risk groups: young people, the elderly and the sick of the intensive care units. With this project, coordinated by the University of Murcia, it is intended to develop devices and algorithms in order to involve users in improving their lifestyles and the circadian robustness of their biological organism. In short, improve your health and well-being. It would be achieved by guiding it in a personalized way to improve their habits. The objective is to test the effectiveness of interventions based on objective measures of biological rhythms and considering the individual pattern of exposure to the light of each user.